We often have buyers coming to town who have a set budget of “up to” $500,000. Where I grew up, that would get you a 4000 square foot house with land! Not so much here. But there are definitely options, and there’s no need to get discouraged. First, the general landscape. The Ponte Vedra Beach real estate market is strong. Statistically speaking, the median home sale price is up +12.9% for the entire 32082 zip code over the same time last year. To give you some perspective, the national average is a little over +3%. The median home sale price in Ponte Vedra Beach is $587,000. That 12.9% increase can sound dramatic, so to be clear, that number takes all price points and communities into account. Some areas are super hot (East of A1A), and some areas are pretty flat. Additionally, some price points are really moving (ie Under $500,000), while other price points have seen little to no growth in the last year (ie. the $500,000 to $1,000,000 range) The graph below shows you the overall positive trend in home pricing here in PVB. Months supply is another good judge of the market. There is currently an 8 month supply of homes in the overall Ponte Vedra Beach residential real estate market. That’s a slight lean towards a buyers market, but again, it all depends on how you dissect your data. Some of the most positive growth has been in the above mentioned under $500,000 market. There is limited inventory in Ponte Vedra Beach for this price point with a 3.5 months supply (seller’s market), and it has shown a steady sold price increase as seen in the below graph This market is up 9% over last year. So what is out there for the under $500,000 buyer? There are currently 71 homes for sale under $500,000 in Ponte Vedra Beach, 20 of which are under contract. That’s putting no limits on size of home, numbers of bedrooms or bathrooms. The neighborhoods vary from Dolphin Cove on the North end to Turtle Shores on the South end, and a variety of spots in between including Odom’s Mill, Sawmill Lakes, and even The Plantation, Sawgrass Country Club, and TPC Sawgrass. 43 of those homes have 3 bedrooms or less, and 35 of the homes have less than 2000 square feet. 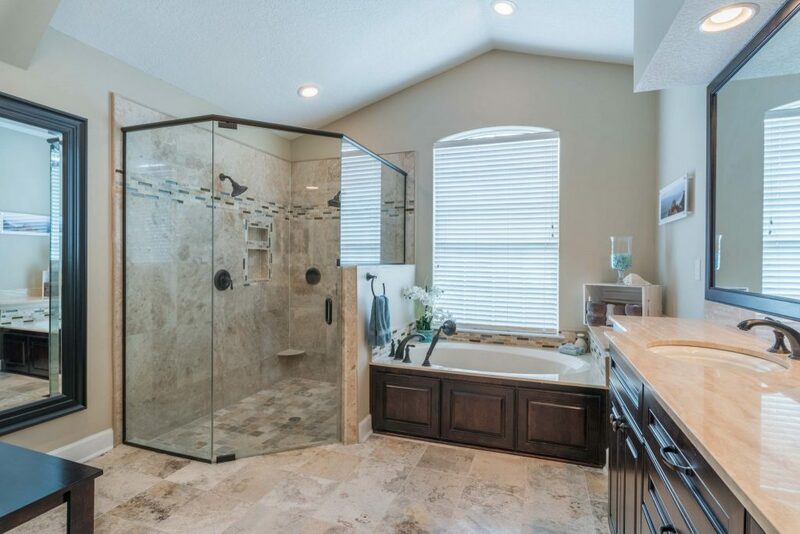 So what does the Ponte Vedra Beach real estate market look like if you are a larger household in need of more space? What are the options then? What if you need at least 4 bedrooms, 2.5 baths and a minimum square footage of, say, 2000 square feet? This considerably narrows your options. There are only 20 4 bedroom, 3+ bath homes in 32082 right now with over 2000 square feet. Sawmill Lakes: If you are a home buyer looking for Ponte Vedra High School zoning and Ponte Vedra High School proximity while still being super close to Davis Park and Nocatee, Sawmill Lakes cannot be beat. But that’s not it’s only asset. The community recently updated its amenities which include a swimming pool, aair-conditionedpool house/entertainment area, top notch playground, basketball court and a large sports field. There are 371 houses and 13 ponds scattered about the neighborhood. The median sold price for an over 2000 square foot home in Sawmill is $475,000. Odom’s Mill: One of my favorite things about Odom’s Mill is the walking path out to Landrum Lane. It provides direct walking access to Ocean Palms Elementary, Landrum Middle School and the YMCA. What an awesome way to get to know your neighbor? Odom’s Mill also has a pool and small playground, basketball court, and a clubhouse. There are 233 homes in Odom’s Mill, and the median home sale price is $427,450. The Plantation: The Plantation is one of the most beautiful communities in Ponte Vedra Beach. Under $500,000 homes are rare in here, but do come on. The Plantation does require membership to the Country Club to reside in the neighborhood, so that needs to be factored into your budget. But if you like golf, it’s a win. Dolphin Cove: Dolphin Cove is one of the first neighborhoods built in Ponte Vedra Beach. There is a big trend in here to renovate and flip homes. It’s a great price point. Prices are in the 200,000 to 300,000 range. Old Palm Valley: Old Palm Valley is a lovely tree-laden neighborhood on Palm Valley Road. It is not a large community but does have a pretty park as you drive in. The average sale price in Old Palm Valley is a little over $500,000. However, a home comes on the market every once in a while under $500,000. Typically, you’d expect do do some updates in an under $500,000 home. TPC Sawgrass: TPC Sawgrass is a very large neighborhood. It has a variety of price ranges. There are two homes currently on the market under $500,000 in TPC Sawgrass, one of which is a short sale. Others in the under $500,000 price range that come on are typically fixers or short sales, and they are few and far between. With the rejuvenation of the Oakbridge Club and Sawgrass Village, it’s tough to find a home in TPC Sawgrass with size to fit in this price range. TPC Sawgrass prices are on the rise, and the median home sale price is around $650,000. Why all this analysis? In this case, my business partner and I have a listing that meets the criteria we’ve been analyzing, and I wanted to understand where our listing stood in the pack. In doing so, I realized this is valuable data worth sharing (and a great opportunity to promote our property). It’s critical to understand the best angle to get your home sold. In looking at our listing 104 N. Mill Ridge Trail, it is indeed in the top of the class if you are a buyer looking for an under $500,000 price that has bedrooms and space. It actually has 5 official bedrooms (full disclosure, one is more of an office/optional 5th), a renovated master bath, two car garage, hardwood floors and loads of light and personality. The master bedroom is down, which is important for resale, and it’s move-in ready and well-cared for. 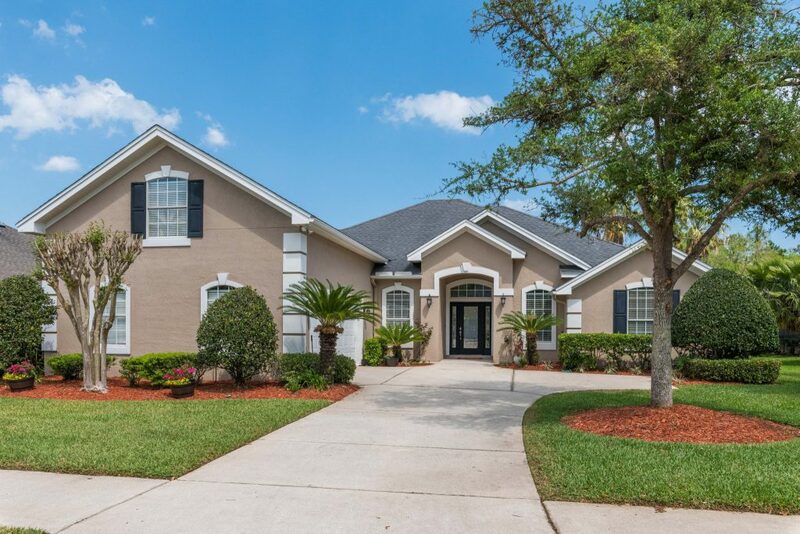 The other big resell factor is this home’s proximity to Ponte Vedra High School. PVHS is a valued asset in our community that is becoming a real factor in the decision making process for some buyers – limited growth, incredible academies and a recognized top US high school. I would be remiss if I didn’t mention Nocatee/Ponte Vedra West as part of this piece. There is loads of inventory up the street as you head over the Intracoastal. There is absolutely nothing wrong with Nocatee, and many a homeowner will say it’s everything right. But…it’s not Ponte Vedra Beach. Great place, but a different real estate animal altogether. Ponte Vedra Beach is a different investment and lifestyle. There is limited land, limited inventory and there are more and more buyers out there who only want Ponte Vedra High School.